The transition from prep star to Big Ten basketball player isn’t kind or forgiving. For Michigan, it’s a way of life. Michigan’s youth feels somewhat overlooked by the national media, mostly because the Wolverine freshmen have been so productive that it’s difficult to remember their ages. Michigan ranks 340th nationally in experience — that’s younger than all but three major conference teams. With Michigan’s freshmen gaining more playing time, the number should only drop further. The Wolverines aren’t just one of the best teams in the country; they’re one of the youngest. Just how young is John Beilein’s team? We constructed two tables that illustrate just how much more reliant John Beilein’s team is on freshmen compared to other Big Ten teams. Michigan’s freshmen account for nearly 50 percent of its available minutes. Purdue, Iowa and Northwestern are the other three teams that give their freshmen over 25 percent of their minutes and those teams seasons could all be summarized with words like frustrating or disappointing. The Wolverines don’t just rely on freshmen, they don’t have seniors to ease the growing pains. While Illinois is case-in-point that experience isn’t everything, for all intents and purposes the Wolverines are in a precarious position of relying on freshmen without seniors. The good news is obvious to anyone that has watched Michigan play: John Beilein’s freshmen are pretty good. Here’s a plot of offensive rating against usage among all Big Ten freshmen. More efficient players are on the right side of the plot while higher usage players are in the upper quadrants. The ideal position is the upper right hand quadrant of high-usage and efficient players. Sam Dekker is the only player that lies in the ideal upper right hand quadrant but Michigan’s three qualifying freshmen account for three of the five players in the lower right quadrant of efficient but somewhat underutilized players. Both Stauskas and Robinson’s numbers are nearly off of the chart in the efficiency column although they use fewer possessions than most other qualified freshmen. Dan Hanner – who raised eyebrows with his comments about Michigan not being a top 25 team in the preseason – notes that Michigan’s freshmen class is the best in the country. The Wolverines’ youth was painfully evident in their two road losses at Ohio State and Indiana. John Beilein’s steady pair of freshmen wings played two of their worst games of the season in those venues: combining for 20 points on combined 7-of-26 (3-11 three point) shooting with five turnovers. However frustrating the performances might feel, they are part of the process for young players. Not too long ago, Trey Burke shot 27 percent in his first Big Ten road game at Indiana. 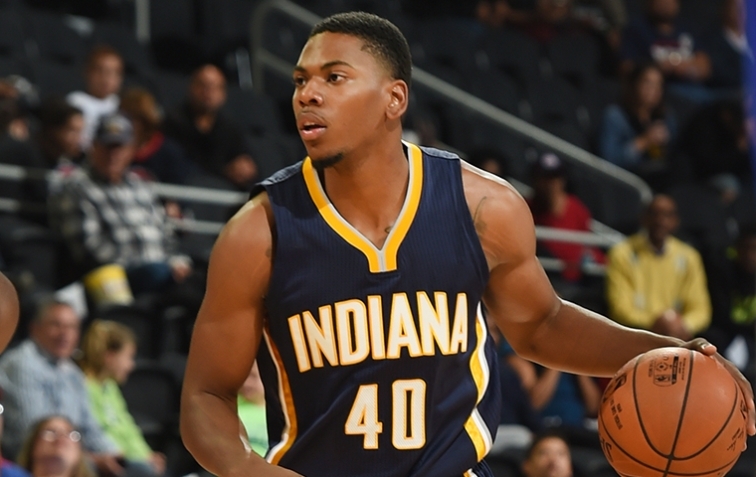 There’s no denying that Glenn Robinson III and Nik Stauskas have struggled just a bit in recent games. Glenn Robinson III is tied with Trey Burke in minutes per game at 36.1 in Big Ten play, which ranks sixth in the conference. Over the last two games, he’s started to look like a player that’s wearing down just a bit rather than the relentlessly efficient player we saw early in the season. Stauskas also has appeared to regress toward the mean with his three point shooting – 38 percent in Big Ten games down from 56% in non-conference play – something that Luke Winn discovered is due to a cold streak on the left wing. With eight regular season games, the Big Ten Tournament and NCAA tournament still to play, the wear and tear of a major-conference basketball season is certainly a legitimate concern. But it shouldn’t mar how productive Michigan’s freshmen have been. Even the most optimistic Wolverine supporters realized that some regression was inevitable as the Big Ten season dragged on. Playing against Indiana and Ohio State in consecutive games doesn’t compare to anything that Michigan faced in non-conference season. Despite whatever growing pains they’ve suffered, Glenn Robinson III (1), Mitch McGary (3) and Nik Stauskas (9) are still three of the ten most efficient players in Big Ten games. Despite having the youngest team in the league, Michigan still has the most efficient offense in the country. There will be growing pains along the way but as long as Michigan’s freshmen continue to progress, serious concern is overblown. Look no further than Mitch McGary to see how much one player can grow between games, weeks or months in his first season. McGary has gone from energy spark to game changer, seemingly overnight. McGary’s conference numbers are impressive: a 124.1 offensive rating with 17.9 usage rate, averaging 6.7 points and 6.5 rebounds per game. McGary’s name is littered on the Big Ten leaderboards, third in offensive rating, second in offensive rebounding percentage, fourth in defensive rebounding percentage, fourth in steal percentage and sixth in block percentage. There are certain to be bumps along the way but that’s life in college basketball where the (very experienced) No. 1 team just lost at Illinois, the No. 2 team lost by 11 points at Arkansas, the No. 4 team lost at Miami by 26 and the No. 5 team has lost two in a row including one to a struggling 10-12 TCU team. Losses are a way of life in college basketball and come March, the teams that have been able to build off of their losses will be the most successful.